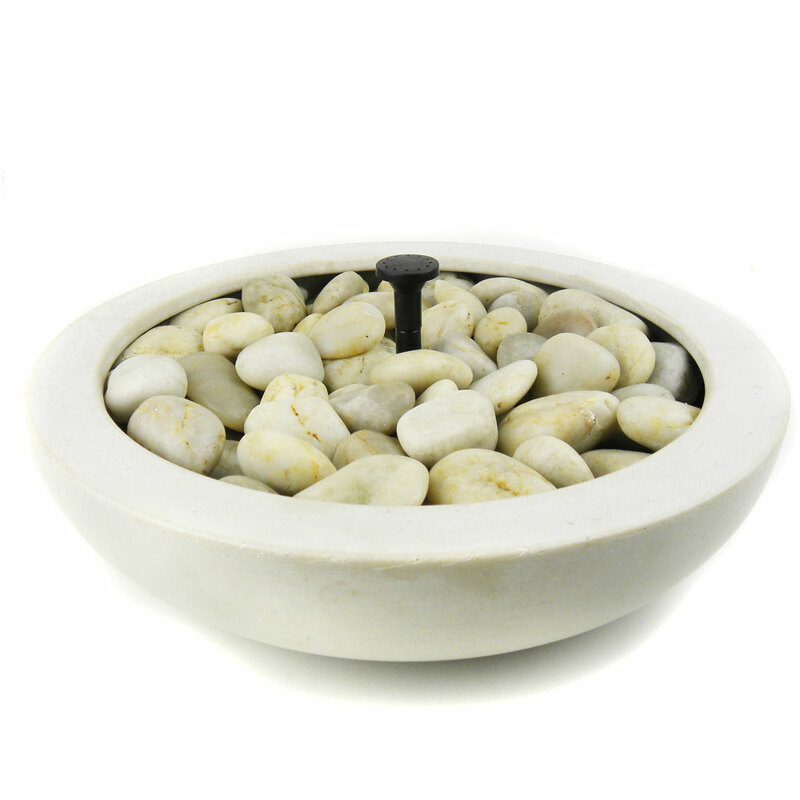 The Sunspray White Marble Stone Water Feature Bowl requires no maintenance, other than the odd wipe down. 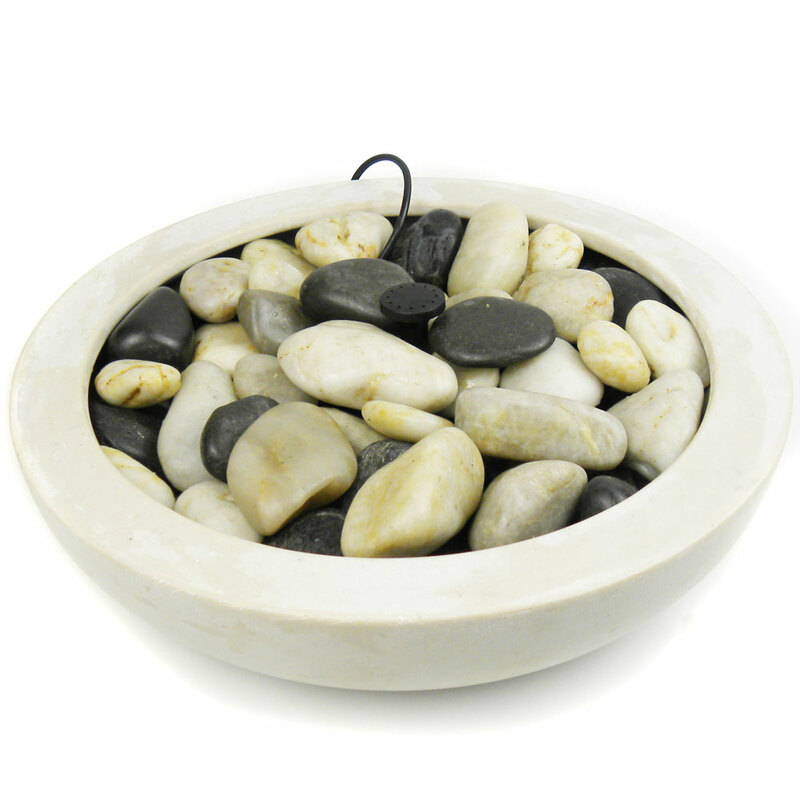 Poly Bowl Water garden is a compact, no-hassle solution for those who lack the room for a fully established pond. Perfect for patios, small gardens or even balconies these water gardens can fit stylishly into almost any environment. The included water feature pump ensures constant movement of the water which keeps it oxygenated, preventing odours and can keeping the water clear. Spring 2018, , my daughter searched garden centres for a small solar water feature for a pebbled area of her small garden without success. She came across Powerbee web site and found exactly what she had been searching for.. 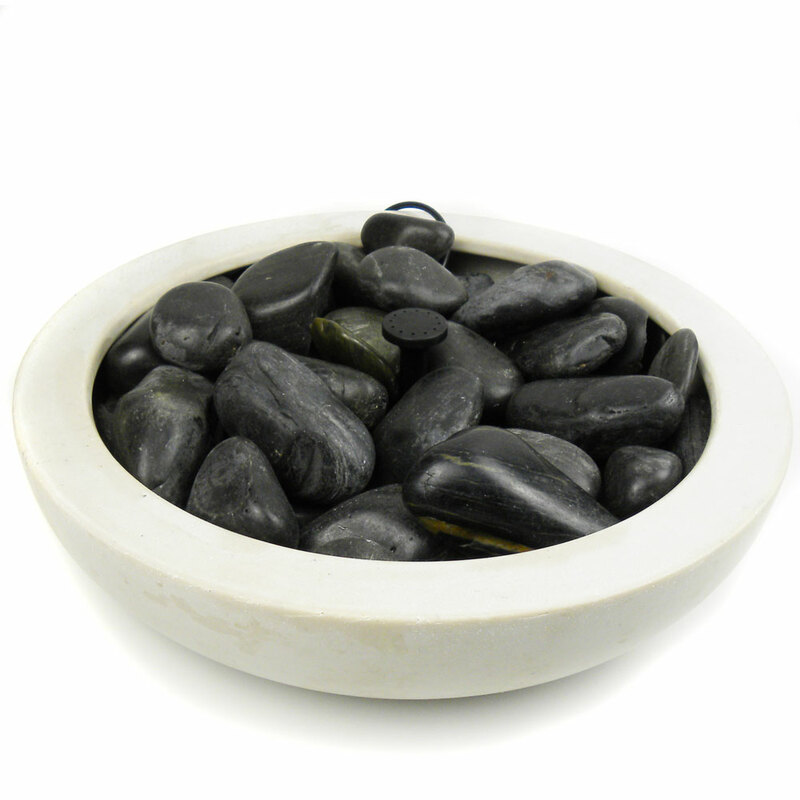 The medium size with natural pebbles is perfect. It looks like marble and is very substantial. It came well wrapped and was easy to assemble.. The service from Powerbee was second to none. 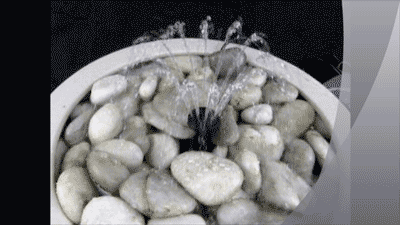 A great solar power water feature. Purchased the small marble bowl feature, arrived well wrapped, quite easy to assemble. Always wanted a water feature without the electric cable and this ticked all the boxes, it's different from other solar features I've seen before and I have had lots of comments from friends who have seen it. HiIf I bought the large bowl, does it come with the SE 500 pump and 20kg of pebbles as illustrated on the video?